Why we love to Party in Key West…and you should too! Why we love to Party in Key West...and you should too! There are a lot of reasons to love Key West, and if we listed them all, you’d spend all your time reading these blogs, instead of partying on this magical little island. But there are a few reasons to love it here more than any other tropical island, whether you are a local or you are planning a vacation to Key West. This is our Top 5 list of reasons we love to Party in Key West...and we’re sticking to it. 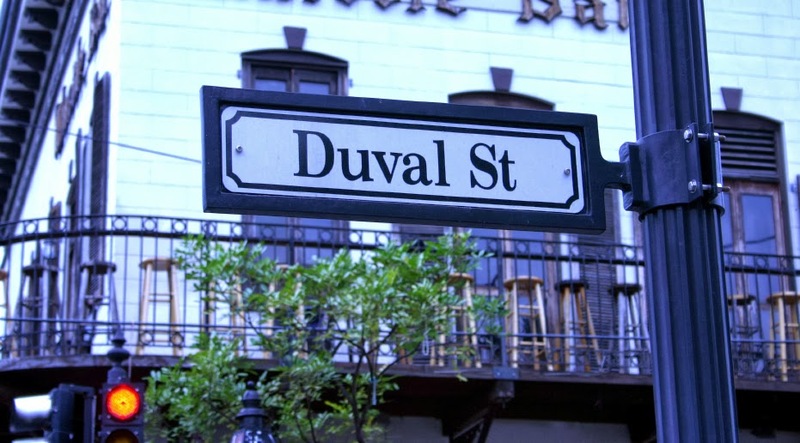 Duval Street in Key West is Party Central in Key West! 1. No drinking and driving worries! Let’s face it, being the designated driver stinks. But nobody ever talks about what a drag it is to drink with a sober partner in crime, who doesn’t wanna be! This is a problem that doesn’t exist in magical Key West. One of the many reasons this little island is so amazing, is that you really don’t need a car here. No, really. You can get around in so many ways, and be lit up like a night light at the same time! Take a pedi cab, and let the driver do the peddling, and enjoy the cool evening breeze on your drunken noggin. Hop in a taxi cab, you tipsy vacationer. Or bike it to the bar. Or walk…er, stumble, your way around town. It’s your doggone drunken traveling choice. And no matter how tipsy you are, you are bound to find your way back to the hotel, because Key West it's only a 2x5 mile island, all the way around. Just don’t fall in the ocean. 2. It's a fun time no matter where you go, it’s happy mode. Key West has a famous slogan “It’s five o’clock somewhere.” And vacationers and locals alike live those words here. Nobody takes stuff too seriously, and every corner you are bound to find a friendly hello or a smile. You can walk into any bar and be certain to make a new friend, whether it is a local sitting at the table next to you, the bartender, or a group of vacationers from another part of the country. Friendly, relaxed, and happy. Sounds like Paradise, doesn’t it? Key West is famous for their bloody Mary's too! Where else can you look out over the Atlantic and then the Gulf of Mexico in a matter of minutes? Or walk the marinas and drink and watch the fishermen coming in with their catches of the day? Where else can you people watch cuties in their summer clothes from an outdoor bar and then people watch a bunch of nekkid cuties in a nudie bar? Key West! Whether serene and pristine or wild and crazy, Key West is a true feast for the eyes. Come and see for yourself! 5. It’s a fashion free-for-all! When you go to NY you see a lot of black. In LA you’ll see a lot of blonde. But when you come to Key West, you will see a lot of ANYTHING and EVERYTHING. This isn’t the home of Fantasy Fest for nothing! Wear your swim suit, shorts, or a suit, or a dress...no matter your gender, and nobody cares! Only a Weekend In Key West? Here Are Your Must-Do's! http://PartyInKeyWest.com Your Online Source for where to stay, what to do, where to eat, and where the party is in Key West, Florida.